I love the rodent series. I have the 9,6,4. the rat that I think I like the most is the ratmandeux le?. Love the melt down on it. I really like my 9 too. too tuff. what are yours? The Rodent Solution is a keeper; and I really like the Rodent 3. (If the Custom Shop ever opens for orders, I've got a couple more 3s in mind). The only rats I have came with my grab bags ; a CSR3, a Mini-Vex, and a Rucki. The R3 handle doesn't feel quite right to me, but I can definitely use it. The MV is much more comfortable in hand when using the choil, and is probably my favorite. The straight handle on the Rucki feels the best, and I love it. I secretly play mall ninja with behind closed doors. Planning on taking the MV, Rucki, and a BG Pork Chop out for christening today. The CSR3 is part of my growing CS collection, which I intend to keep in mint condition. Will report back any updates. Post up a pic of the R3, if you don't mind. What gives the Waki the edge, iyo? Is it the addition force that can be leveraged with the longer handle, the cost to value, or...? Still haven't gotten the hang of pictures, but I'll give it a shot. My pictures don't do the knife justice. The wood is a dark purple, and the liners are a green/teal color. I hada rodent 9 and sold it. I regret it. The 9 is a super knife. the 9 really chops above its level. was the deux the only sr with meltdown on it? HRLM !!! The R Series blades did not work for me at all. BATTLE RAT! Far and away my favorite chopper. Balance forward, bites like a pitbull! Also have a D Guard but all the weight is in the handle. Ratmandeaux LE #4 also love the design, just haven't been able to use it and mess up my satin. it can be hard knocking the new off. Lovin' the heck out of a Ratweiler that I recently acuired. It's definitely making moves for top position in my favorite midsize Busse/Kin blade. Another model I use a LOT! 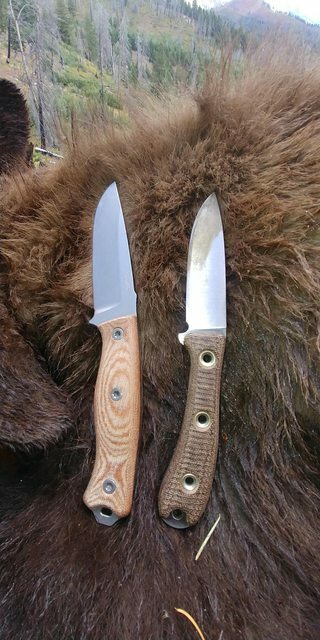 I think I have more of these than any other Busse or 'Kin. Had around a dozen of these at one point. I think I'm down to 6 or 8 now, lol. The Swamp Warden!!! The KDSH is one of my most used camping tools. And the Swamp Rat swords are pretty awesome. 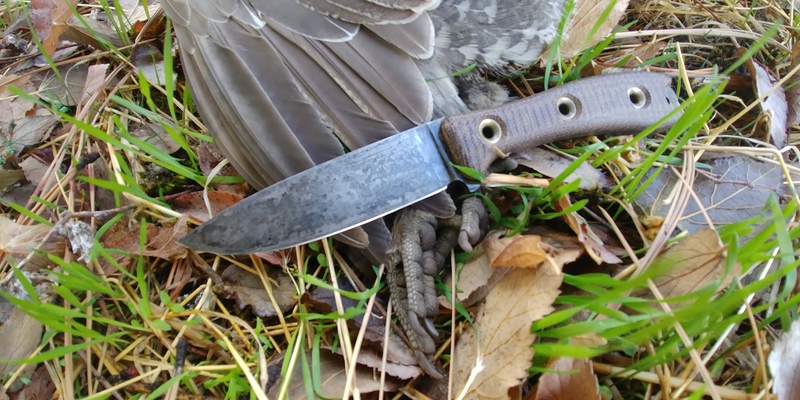 I love the Rodent 3 as a fixed blade carry knife. But if I was forced to pick a favorite, it'd probably be my custom shop, one-of-a-kind, satin Rodent Trail. The DPRT !!!!!!! Brilliant little knife !! Kinda fell hard for the M's over the last few months..started w/ an M9LE, I have a steril M6 on the way from AZCK. Plans on a HRLM, and just picked up a Rat Hunter today. M9 was one of my first and never fails to turn heads. M9s are awesome I always thought they should have gained more mainstream popularity. Hey Dave, (or Andy if you wanna drop some hunting knowledge) Firstly, just wondering if you do NOT like the upswept tip on the Rodent Trail for hunting? If so, why?